To be protected from the Tiger, we need the substitute to take our blame and suffering. Lamb of God has come to take the sin for the world. 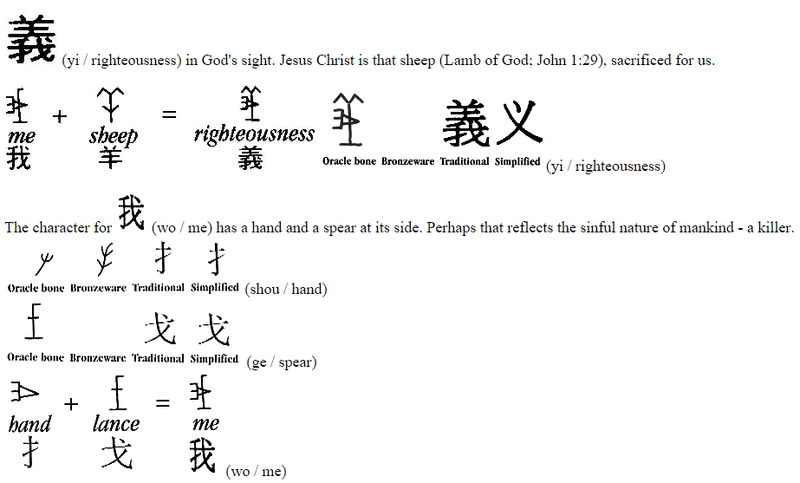 Simplified 义 too.. A drop of blood on a cross..
Shem migrated to East, North-West of China. Shem and his descendants spread the knowledge of God everywhere they went. Nian was a beast.. Refer to past CNY Sermon! IMPORTANT – READ ME: We Have Moved !